Improve Business's that need YOUR skills. I always answer with, start with research, lots of research, a simple business plan and then consider building your business online before you quit your day job. Do you really want to lease a shop or factory before you are making money. The best way to test the market and build your Drone Business is ONLINE. Start online before you quit your day job, work after hours or on weekends. subcontract work to other Drone Pilots. There are dozens of ways in which to make money flying your drone to earn loads of money to build your business. The key is to find your niche and learn how to help lots of people improve their lives or business and make more money or cut cost's from the bottom line. I have many friends starting Drone Business's, some have failed only because traditional overheads and expenses such as building lease, building insurance, power, water and advertising for the building consume their saving's before they even start. You can lose your life saving's or even worse your can lose your house if you fail with a traditional business or you can start an online business. You can start an Online Drone business from your living room for under $1000.00 with very few expenses. I started with a good Idea and a $300.00 website. I now build and sell Drones and Robots, Teach other how people how to fly Drones and consult to business on how to use Drones to improve productivity. Visit the following link if you want to learn how to build your own website that can change your life and wealth. 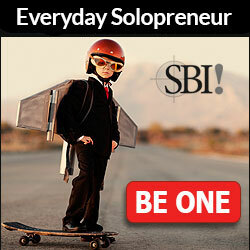 I wish somebody had taught me how to become a solopreneur and earn $1000 per month for very little work when I was 15. I worked hard for 20 years before I discovered the secret income that you can earn on the internet. Would this information change your life? Too often we work hard but we don't work smart. Working everyday for a wage in a JOB (Just Above Broke) will not make you comfortable, wealthy or Rich but if you set up your own website business you can be comfortable within a couple of years and Rich within 10 years just by learning what others only dream about knowing. But you need to take action, your Drone business starts with your own Website and grows from there. You will need to do a little everyday, it is worth it. Start now or stop complaining and just grin and bear it. The 15 year old girl used her moms information (not Read) and took action, she read the information on how and why to start an internet business. She acted with no fear of failure and now has a business. She is now teaching her mom how to make money online, She now sells drones to other girls who like drones, why because girls know what other girls want in a drone such as a speciality painted pink glitter drone. Her mum is now building a business selling information. She took action. Fear of failure or failure to act, you choose. Right click to download and save the WAHM-IT!, The Masters Course to your Desktop.